Approx 4 days old, body was the size of a golf ball. He fell out of his nest from the strong winds and was laying in the 100 degree sun on stones. 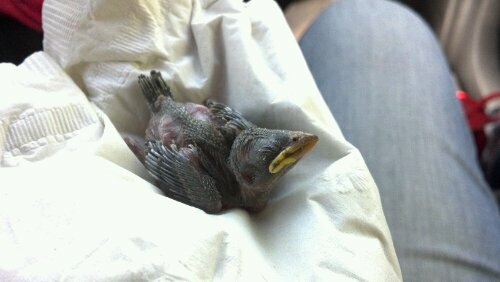 Called bird rescue and they said to bring it to them. I did. I’m such a sucker.